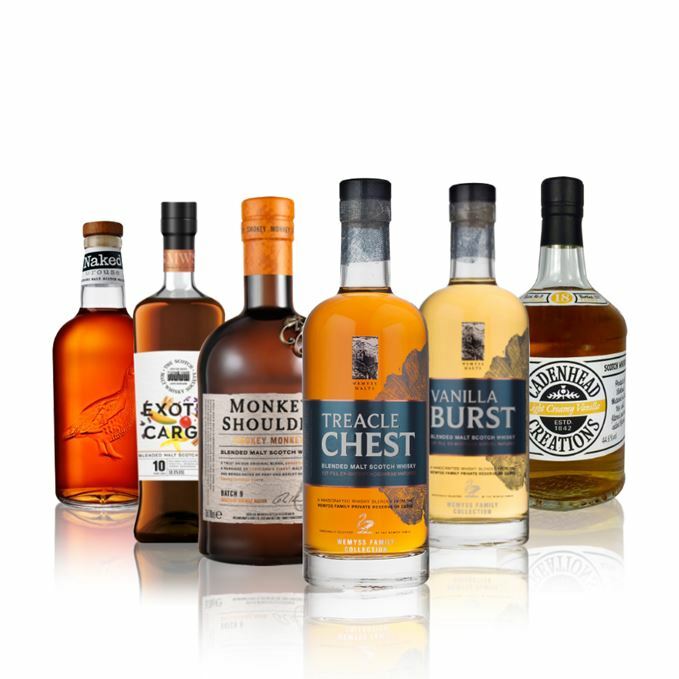 Dave Broom enters the world of blended malts (plus one blend) to find whisky makers enjoying the ability to draw on different elements to produce complex drams that are amazing value for money. 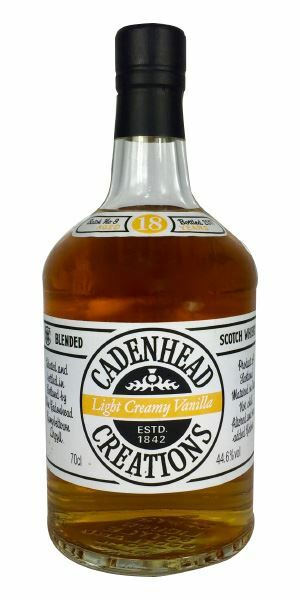 Starting off is a discreet 18-year-old blend from Cadenhead Creations that has him pondering lemon meringue pie, lashings of Chantilly cream and an opportunity to cause havoc in a certain Penrith tearoom. Next up is the Scotch Malt Whisky Society’s first foray into blended malts – and what a foray it is. A chewy and unctuous palate and PX-like Sherry cask aromas have Broom happily exploring the inner workings of an old antique shop. 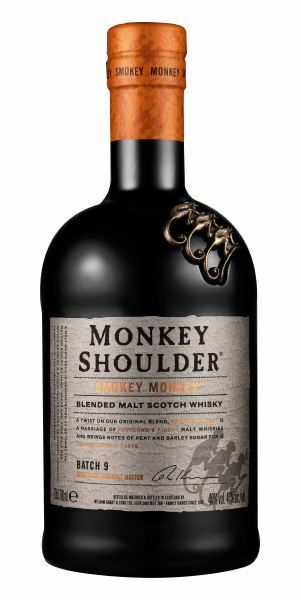 The bar-exclusive Smokey Monkey from Monkey Shoulder has him ordering us all down the bar to try out its peat-accented balance, while the splendid new blended malt by Naked Grouse – aimed at ‘older millennials’ – has him salivating over Tunnock's tea cakes and digestive biscuits, and considering a cheeky Bobby Burns. Finally, Broom tries two new additions to the Wemyss Malts Family Collection. 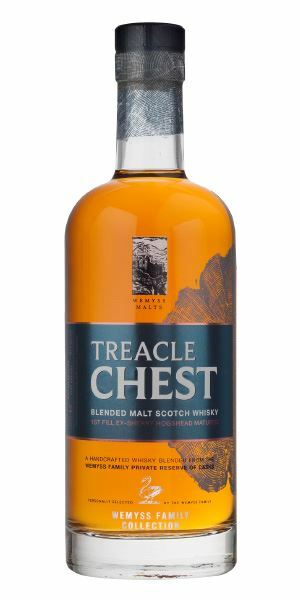 First Treacle Chest – a Highland blended malt with a huge nose and an elegant richness that has him uttering guttural Glaswegian in delight. 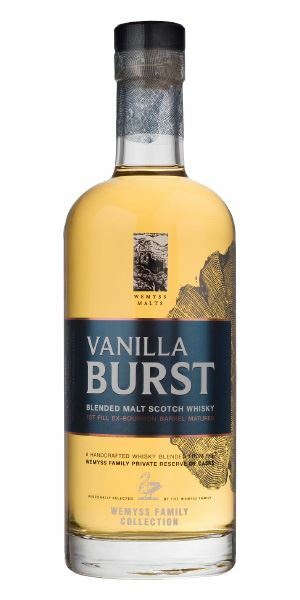 Last (and by a few small marks least) on this list is Vanilla Burst, a nevertheless excellent-value blended malt from Speyside, which has him reciting a well-deserved celebratory haiku. On first encounter, there’s more light to this than cream – or vanilla, come to think of it. Vaporous, with white flowers, some ice-cold butter, lemon meringue pie/cream-filled meringues and then meadow grass. Discreet, but you need to work at it – or just add water to bring out more overt American oak – wood shavings and mature elements, albeit within the white fruit/lemon frame. There’s additional herbal touches: lemon thyme, camomile, elderflower. It’s much fuller on the tongue, and considerably sweeter also: apple sponge and lashings of Chantilly cream. It’s almost too sweet when it’s neat, so the addition of water not only softens, but dries things slightly – the herbs are now joined by some mint, and there’s a pep akin to old-fashioned lemonade. Creamy, but with green edges. Maybe it lacks massive complexity, but it’s rather delicious and who can (or should) argue with that at under £50? Big, fat and full of the glossy, polished generosity of good Sherry casks, with a nod towards PX-like density. There’s a background of baked fruit (plum compôte) and raisin before you’re taken off to the back room of an antique shop – albeit one that’s burning sandalwood incense. With water, there’s a light burnt element, reminiscent of molasses and a touch of browning meat: goat, methinks. Things have now become more oily and robust. Chewy and unctuous, the alcohol finally shows itself, making this a bit more of a prickly customer than the avuncular nose suggests. In other words, add water to calm the heat, soften the tannin and bring out treacle toffee, bay leaf, barberry, Agen prunes and a thick, glazed feel like pomegranate molasses. Chewy, ripe, with light sweet spices. A first blended malt for the Society and a welcome addition to its range – and at a very tempting price. Snap one up. The highly-polished auctioneer brings down his gavel. There’s no attempt to hide the smoke here: it comes straight at you with deep phenols, a little hint of Neoprene, then picks up a fragrant, cherry wood-like perfume before driving forward with scents of pine logs spitting on a fire and a whiff of fresh linoleum. While all of this is going on, there’s a steadily building aroma of cooked fruits, dried flowers and bread-and-butter pudding which, when water is added, moves into Sherry trifle. Although the smoke is everywhere, there’s an integration and balance here which means that one element never totally dominates. A lift of soft fruit is accompanied by burning sage and rosemary, before some peachiness comes through in the mid-palate, along with vanilla and coconut. Spices begin to be released on the end. Peppery, a hint of barbecued pork. The key here is the balance struck between smoke and sweetness. Bartenders will love this and, as it’s only available in those establishments, it’s best to belly up. Is it smoke, or haar rolling in? A rich and fairly malty start – like a health food store with sacks full of bran and raisins. Then comes sticky toffee pudding cut with light bitter orange elements. Things now veer towards the sweet counter: moist Jamaica ginger cake, melting Tunnock’s caramel wafer, blackcurrant pie, but always this firm backbone adding some cedar and maltiness. With water, things become more toffee-like, with added plump red fruit. Big, gentle and soft. Things start sweetly; this time it’s Demerara sugar-topped semi-dried fruits, blueberry muffins and chocolate digestive biscuits. It dries towards the back palate as the light tannins, oak and malt (giving some Assam tea notes) begin to rise in the mix again, but without disrupting the (excellent) balance. Water reveals the complexity. On one hand, there's gentle fruit: sultana, mixed peels; a spicy mid-palate: mace and cumin; then a clear oak structure. Really rather splendid. Long, fruity, with a grating of cacao. 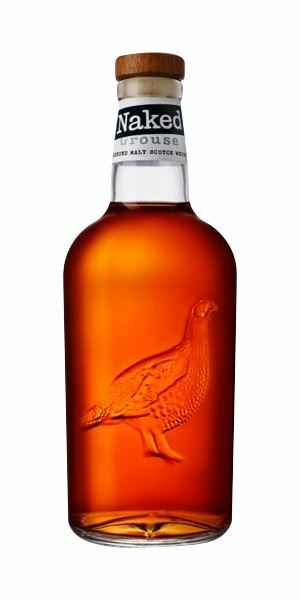 How good will this be in a Rob Roy or Bobby Burns? 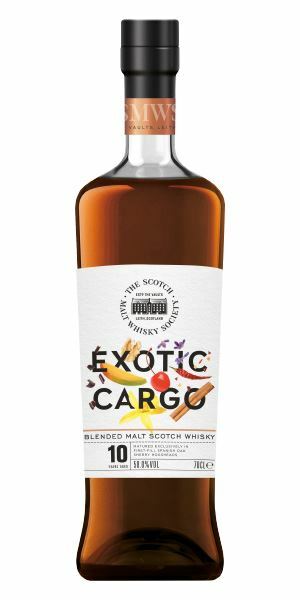 Highly drinkable – which you’re probably not allowed to say any more, but think of it this way: there are contemplative drams which are intellectual exercises, and there are some which are targeted straight at the pleasure zones. This is one of those, and at £25 you’d be daft not to try it. A vegan has a crisis of conscience outside the Tunnock’s factory. Big. No, huge. A massive, resinous opening like a luthier’s workshop: all wood glues, oil-soaked cloth and a heady beeswax drowsiness. Then comes the scent of old Calvados (with added pear), which rises and then recedes as cherry pie tobacco/old pipe bowl aromas begin to develop. Complex, in other words. Water enhances all of this, adding a little more roundness and further depth. Multi-dimensional and seriously good. As you’d expect from that nose, the richness hugs the tongue, but as well as the resins there are new layers of exotic fruits, bitter chocolate and a touch of smoke like burning juniper wood. The tannins remain soft and, in time, there’s a chestnut honey sweetness. This is from first-fill Sherry hoggies – and you know I’m a sucker for those. Elegant, layered, rich and balanced – and again for less than 50 notes. I’ve had whiskies at five times this price which weren’t as good. For all of youse [Glaswegian grammar alert] who say there’s no value in whisky, think again. Walking in rain-soaked old growth pine woods, which seems a good time to ask you to help save the Caledonian forest. The ‘vanilla’ is on the clotted cream side of things, and comes with added spice and a fine dusting of powdered ginger. There’s some crisp oak and a tiny, muguet-like floral element before green apple tales the lead, along with cut grass and unripe peaches. With water there’s a light lavender scent – an old lady’s chest of drawers – and almond paste. It remains quite intense. Better delivery on the palate, with a lightly grippy structure and more overt vanilla alongside this clean, dry oak element. There’s a burst of green grape, lemon and apple in the middle of the tongue, with a higher-than-expected spiciness which makes it just a little spiky. I won’t go on about price again [er, you just have – Ed], but this ticks all the boxes. Batch 111 01/09/2017 The new Ardbeg An Oa, Glenmorangie Astar plus four Gordon & MacPhail Distillery Labels.